APOLOGIES IF YOU HAVE MADE AN ENQUIRY AND I HAVEN’T YET REPLIED. I managed to catch proper ‘flu and was in bed for three weeks – during which time I did answer the telephone but some messages I have lost. If you have been waiting exceptionally long please contact me again. AND – I shall not be able to process registrations until March 18th as I’m going away for a few days. By looking through the topics above you will find resources and information which we hope are useful. There is a chat section where Probians can perhaps look for old friends, advice or swap speaker recommendations, or look for answers to questions that need a reply before the next Probus magazine publishes. 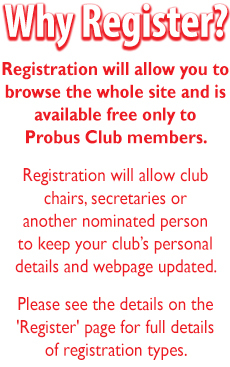 I also put up there details of people looking for a Probus club to join when I have no details of clubs in their area. 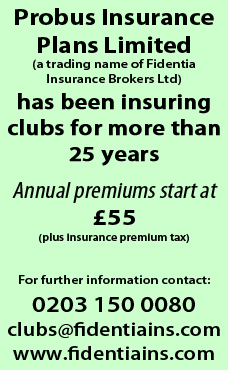 If you register as author of a page for your club, as soon as I have approved the application you will be sent a password. This can be changed the first time you log in (and if you forget it again) but your log-in name CAN NOT be changed. Please type in your e-mail address carefully or the acceptance e-mail will not reach you. If you think you may have made an error, please email me. If you require further information or help on how to use the site, not covered by the videos under ‘help’, you can contact me by telephone or e-mail, by clicking the link (left). 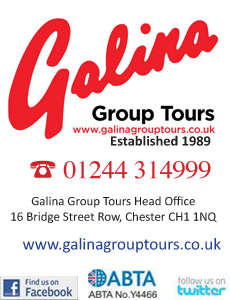 If you wish to take out a magazine subscription (you pay only for delivery), or are a company wishing to place an advertisement in the magazine and/or on the website, you’re just a click away from the information you need to contact us – see left.